Welcome to Gulfport Fire Rescue’s web page. Our mission is to provide the best service possible to our community. Our firefighters strive to always do their best and face each day with pride, honor, skill and integrity. We understand that very few professions in the United States allow a total stranger to walk into a home at 3 o’clock in the morning, have instant credibility, and have a parent hand you their sick child. This fact we cannot tarnish. Our goal, therefore, is to always maintain strict professionalism. We recognize each day is a training day. Not only in the service to our community but also to help ensure that “Every firefighter goes home”. I would like to extend an invitation to you to visit our fire station and speak with our personnel. Please allow us to train you in CPR, provide a free home fire safety inspection, a free home pool safety inspection, provide or install a free smoke detector or any of our other services. If I can be of any service to you, on behalf of Gulfport Fire Rescue and the City of Gulfport, please do not hesitate to contact me. In 2015, Gulfport Fire & Rescue was awarded an ISO rating of 2. ISO (Insurance Services Office, Inc.) is the leading supplier of statistical, actuarial, and underwriting information for and about the property/casualty insurance industry. The ISO fire insurance ratings for a community are the foundation on which most insurers build their coverage programs. After looking at many factors, ISO assigns a Public Protection Classification from 1 to 10. Class 1 generally represents superior property fire protection, and class 10 indicates that the area’s fire-suppression program doesn’t meet ISO’s minimum criteria. A low ISO fire rating equates to lower insurance premiums citywide. For a one station department, Gulfport’s classification as a 2 is impressive as less than 3% of departments nationwide have classifications on 2 or less. Chief Marenkovic is currently assigned as the department EMS Coordinator and Infection Control Officer. 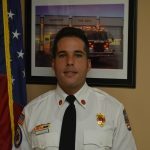 He holds Florida State Certifications as a Minimum Standards Firefighter, Emergency Medical Technician, Paramedic, and is a CPR Instructor through the American Heart Association. 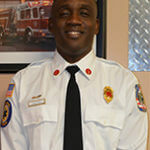 He is a Florida State certified Fire Officer and is also a Florida State Certified Fire Inspector. He actively services on the Pinellas County Fire Chiefs Association, St. Petersburg College Continuing Medical Education Curriculum Committee and Pinellas Advanced Life Support Committee. Chief Marenkovic began his career as a Paramedic in 1988, has worked for several private ambulance companies, including Sunstar, and has previous experience as a volunteer firefighter in Ohio. Hired as a fulltime Firefighter Paramedic in March 1998 he was promoted to Fire Lieutenant in January 2003. In March 2009 was promoted to the rank of Fire Chief for Gulfport Fire Rescue. Lieutenant Erick Fuchs is currently assigned as the C- Shift Lieutenant and the Departments Logistics Officer. Lt. Fuchs began his career with the City of Gulfport in 1999 as a Volunteer Firefighter/EMT. He was hired full time in February 2002 and promoted to Lieutenant in March 2010. Lt. Fuchs is a certified EMT and serves as the Department’s Logistics Officer is in charge of overseeing the Station Supplies and Facility Maintenance. 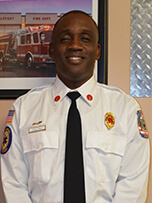 He also holds certificates as a Pump Operator, Fire Instructor 1, Fire Officer 1 and CPR Instructor with the American Heart Association, and an EMT Preceptor for St. Petersburg College. 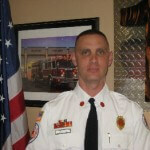 Lieutenant Gerard Grady is currently assigned as the A-Shift Lieutenant of Engine 17. Lt. Grady began his career with Gulfport Fire Rescue in 2003 as a Firefighter/Paramedic. He is a state certified fire officer and was promoted to Lieutenant in February 2016. Lt. Grady is a certified Firefighter/Paramedic, and retains his EMT certification as well. He is also a paramedic and EMT preceptor for with St. Petersburg College EMS program. Lt. Grady also works a critical care flight paramedic for Express Air Medical on his days off. Lt. Grady career as paramedic began in 2002 with Manatee County EMS. Lt. Grady received fire training in 2003, then soon after was hired by Gulfport Fire Rescue. Lieutenant Rene Fernandez is currently assigned as the A-Shift Lieutenant. Lieutenant Fernandez began his career with the Gulfport Fire Department in 2006 as a Firefighter/Paramedic and was promoted to the position of Lieutenant in October of 2017. Lieutenant Fernandez has extensive education in the medical field including a current certification as a Paramedic and Registered Nurse, along with a Bachelor in Science. He also holds certificates as a Pump Operator, Fire Instructor I, Fire Inspector, Fire Officer I, Fire Officer II, and CPR Instructor with the American Heart Association. Currently, Gulfport Fire Rescue has three shifts of four personnel operating an Advanced Life Support (ALS) Engine. Maintains four firefighters per shift that includes at least one Fire Lieutenant and one Paramedic. Each shift works 24 hours on and 48 hours off. The Fire Chief is responsible for the overall operation of the department. Each of the Fire Lieutenants is responsible for a specific area of supervision and coordination, Training, Safety, and EMS in addition to their shift supervision duties. GFR operates out of a single fire station and is responsible for the protection of 12,500 residents living within the City of 3 square miles. Additionally, the department participates in a County-wide Automatic Aid agreement with frequent fire responses into St. Petersburg and South Pasadena, and Mutual Aid responses into these areas and the beach communities of St Pete Beach and Treasure Island. Gulfport Fire Rescue responds to nearly 3000 emergency incidents annually. The fire station houses the living quarters and the administrative area. Originally occupied in 1976, it was renovated and modernized during 2003 with the living quarters expanded and separated from the administrative area. Gulfport Fire rescue provides Advanced Life Support Emergency Medical Services; Fire Suppression; Fire Inspections based on the NFPA Life Safety Code; Public Education for Fire Safety, Hurricane Preparedness, Pool Safety; CPR training; free Home Fire Safety Surveys; free Smoke Detectors and installation. The Community Emergency Response Team (CERT) Program educates people about disaster preparedness for hazards that may impact their area and trains them in basic disaster response skills, such as fire safety, light search and rescue, team organization, and disaster medical operations. CERT members will also be trained in CPR/AED and basic first aid. Using the training learned in the classroom and during exercises, CERT members can assist others in their neighborhood or workplace following an event when professional responders are not immediately available to help. CERT members also are encouraged to support emergency response agencies by taking a more active role in emergency preparedness projects in their community. Gulfport CERT meetings are held every third Monday of the month at 7 p.m. CERT meeting locations will vary due to the type of scheduled training for the month. For more information, please contact (727) 893-1022 or (727) 893-1062.